Annie Abbey, B.F.A. Fashion Design, grew up in Santa Cruz, California. During her time at Academy of Art University, Annie held internships in design, production, and styling at Aeropostale, Indigo Handloom, Nordstrom, and ENK International. For her collection, Annie used only recycled materials, including remnant fabrics courtesy of Indigo Handloom, as well as found garments, curtains. The textiles used in the collection reflected Annie’s original inspiration: nomads and their eclectic lifestyles. Annie has been offered a full time job with Abercrombie & Fitch. 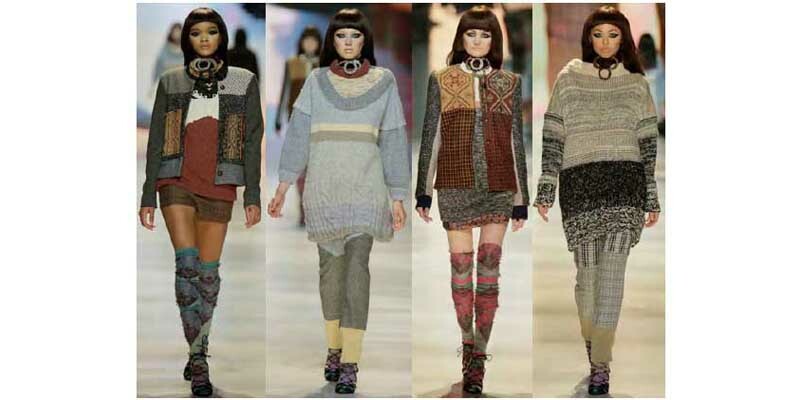 Additional knitwear was provided by fashion students Xingyu Hu and Ghazaleh Khalifeh.